Ever wanted a harness that turns into a backpack and then back into a harness again? 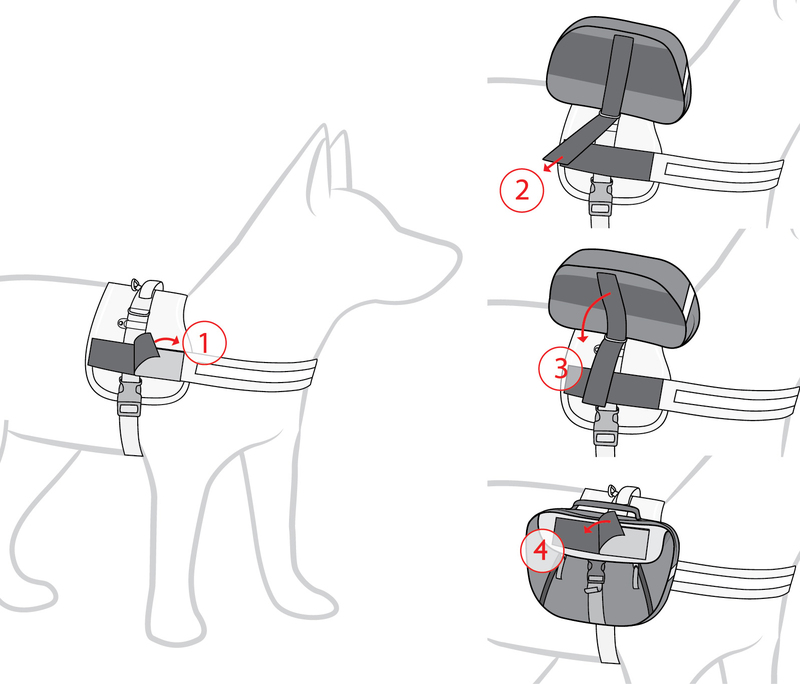 Well now you can with the Saddle Bags add-on for the Convert Harness! The Saddle Bags themselves feature both a large main compartment and a quick access front section for the items you need more regularly. All zip closures are waterproof and the bags are finished with reflective trim for safety on night-time walks. "I bought these for my Great Dane and absolutely love them! He now carries my phone and keys, his treats, bags and ball. It's comfortable, doesn't rub and waterproof. Love love love this product! " " i’ll only buy ezydog products for my dog from now on"
"Love the saddle bags. They look so smart and stylish. I'm forever getting comments on how good they look and a lot have asked where to get them for there own pooch. Highly recommended." "Have used them already with the convert harnesss, going to the markdets with the hound. The amount of commments and pats we got were astrounding as my girl carried her "stuff" that we bought. They are well made fairly easy to fit (the tab is a bit stiff to fit through the loop but will expect that to loosen in time). They look good and have plenty of room to put stuff in them. Love the two pockets on it, the big one for everything and the smaller ones for keys ect."